She is now turning 90 years of age. 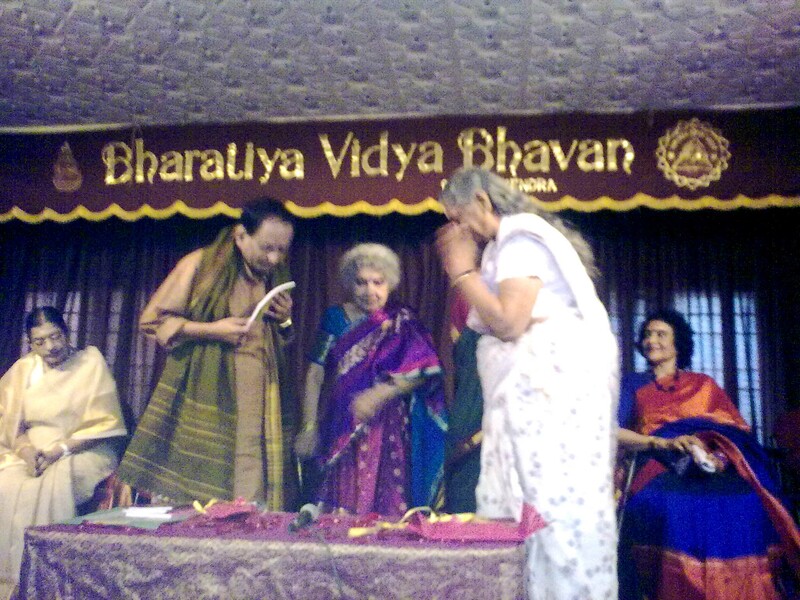 And that means she has been into music performance for more than 80 years now! A Guinness feat one reckons! 9-Jan-2010… Saturday… Pictures… I took these pictures in my cell-phone camera. 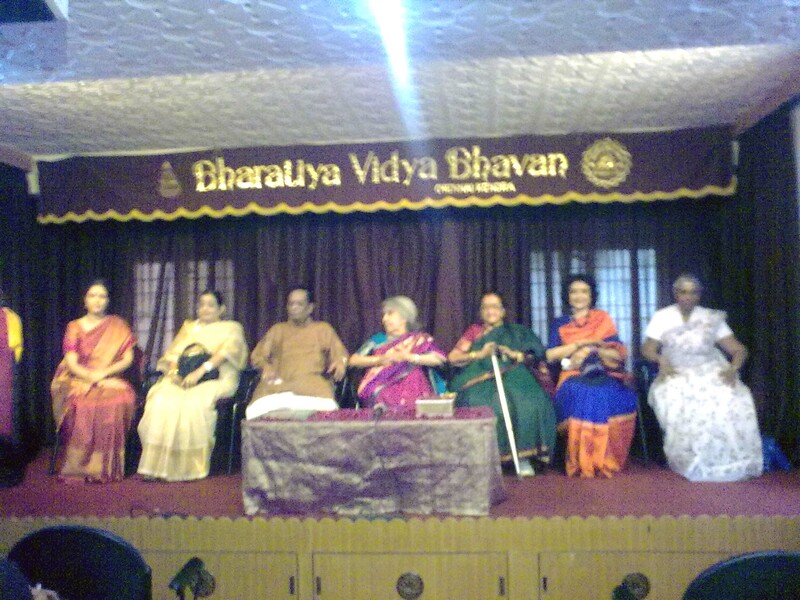 The pictures aren’t sharp… But here is a glimpse into a galaxy from Gandharva loka gathered on the dias, at the mini-hall of Bharatiya Vidya Bhavan. This entry was posted on January 10, 2010 at 3:30 am and is filed under chennai clippings, Culture notes. You can follow any responses to this entry through the RSS 2.0 feed. Both comments and pings are currently closed. Nice post Kamesh. I had never heard of Anasuya Devi. 80 years in the field is definitely wow. How do you find about such events? I missed Romila Thapar’s history lecture. I read about it after the fact in the Hindu. Thanks Sukumar. 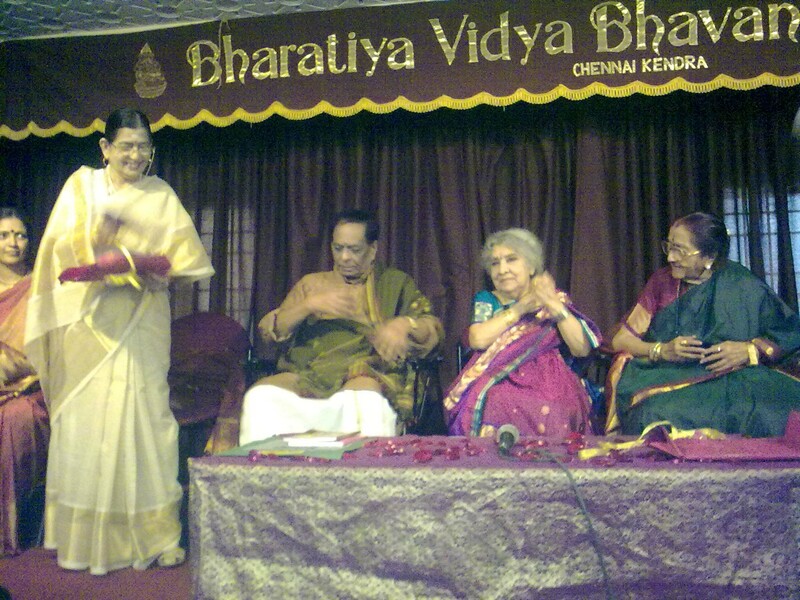 Anasuya Devi and her sister are well known as Vinjamuri sisters… Here is a link from Hindu http://www.thehindu.com/fr/2008/04/11/stories/2008041150360200.htm . And I miss a lot of events too! I was fortunate to be there for this one! Murthy Garu! Many thanks for your kind words. Yes, the photo of the three nightingales is indeed very special. 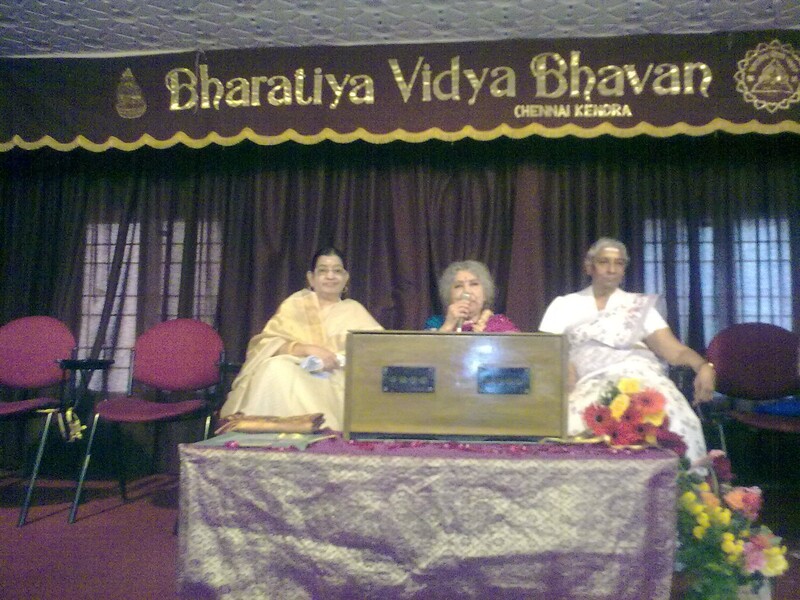 P Susheela and S Janaki looked on with so much respect and affection, as Anasuya Devi tuned her harmonium and sang. This is the greatness of tradition. BTW, my mother tongue is Tamizh, and I know no Telugu. Yet, the underlying ‘constant’ in Indian tradition, is the basis of all expression, and the Rasa reaches the rasika – even one ignorant in the language. I am sure the organizers and press will publish much better pictures. A video was taken as well. I hope many get to see them and share the joy. Had darshan of all the rich and rare south indian spices in one bowl.I am hearing about Anusuya Deviji for the first time.Thanks for enlightening me thru your post about this rare gem. 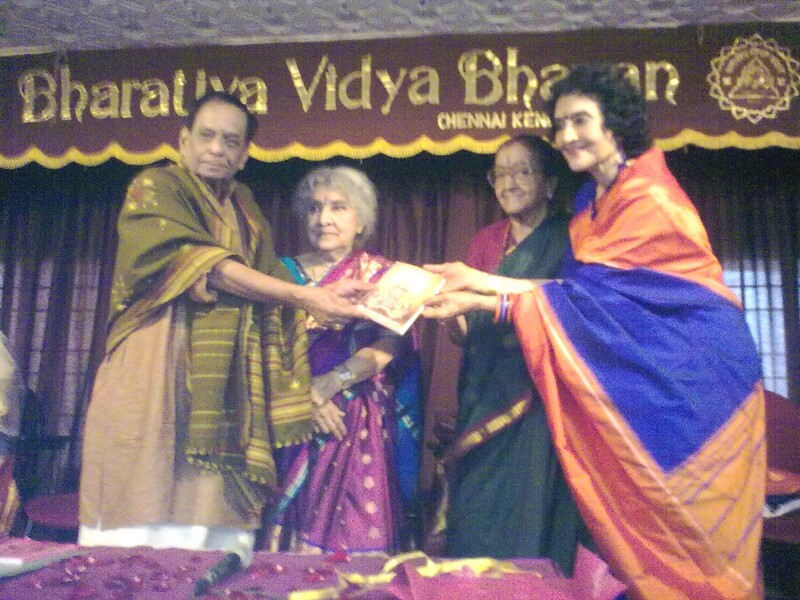 it is a treat to see the pictures of great singers together on a stage.